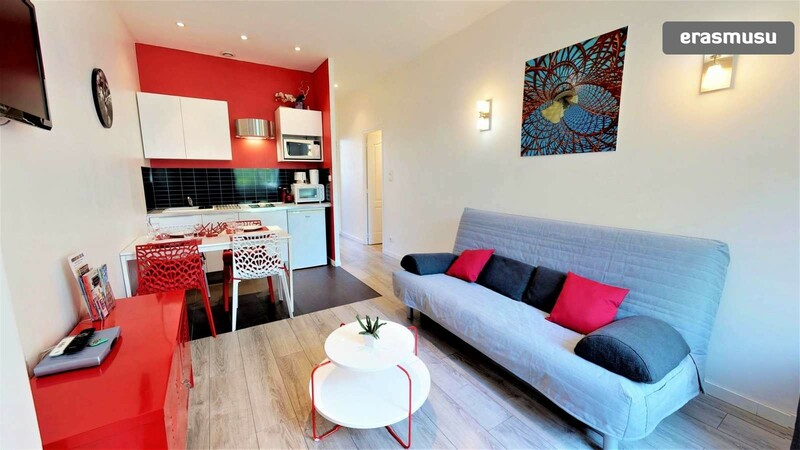 This 1-bedroom apartment is located on Boulevard Eugène Deruelle in Part Dieu. 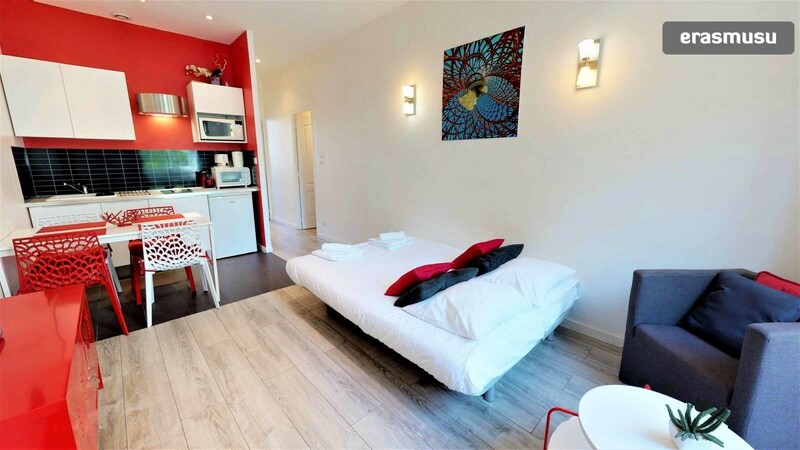 The 45 m² has a living area with a sofa bed, an equipped kitchen as well as a double bedroom with an ensuite bathroom. 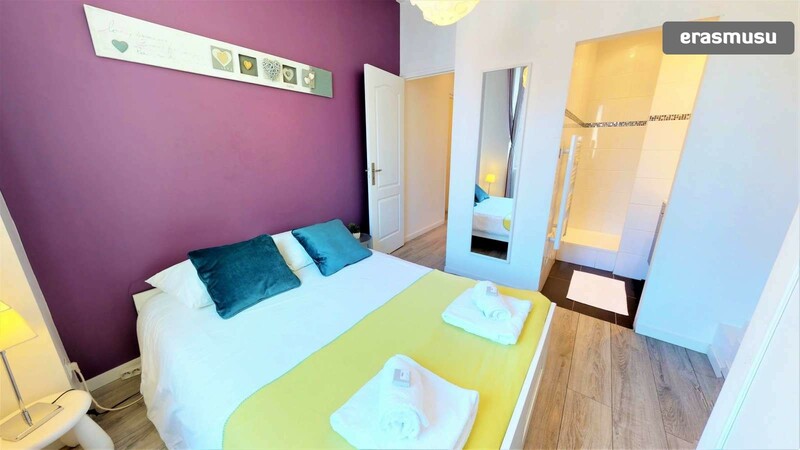 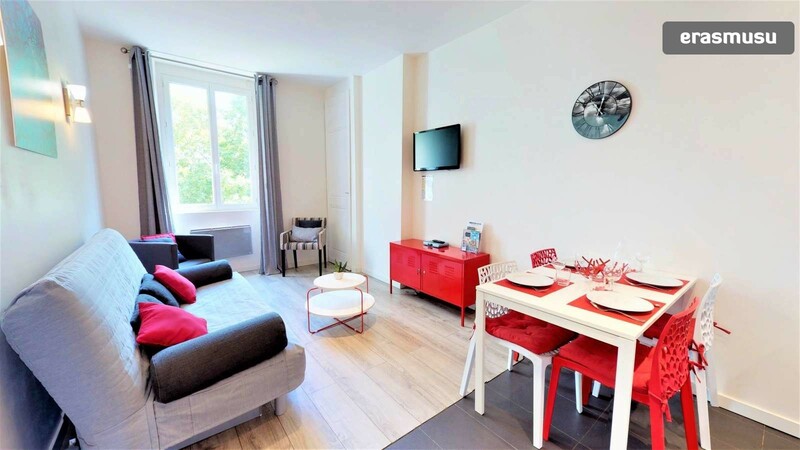 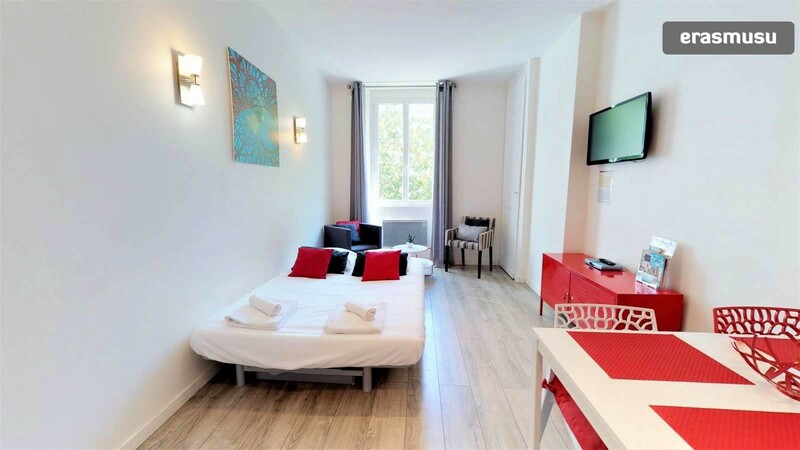 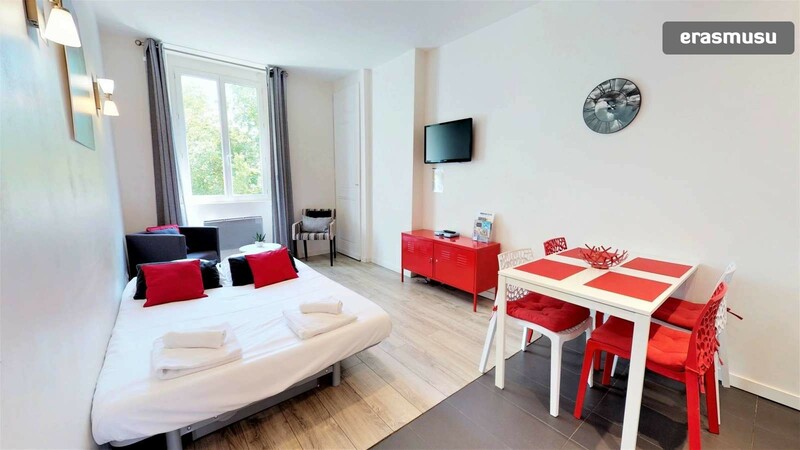 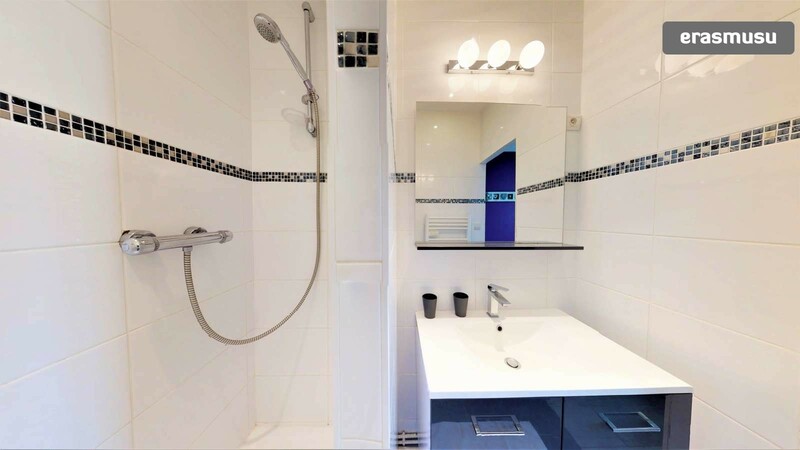 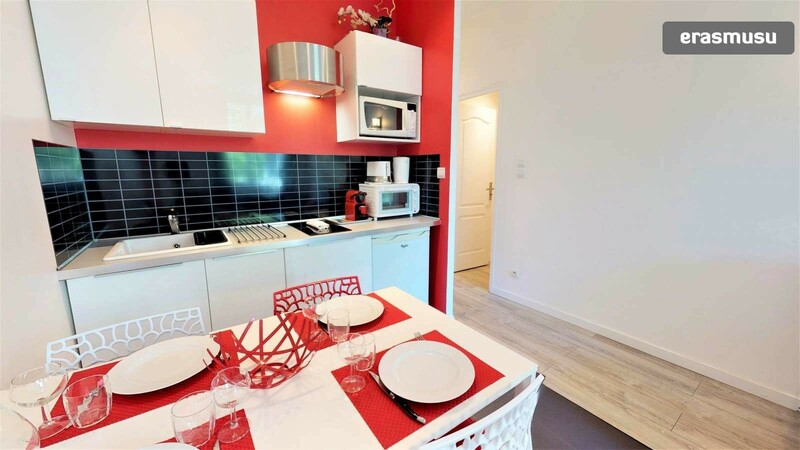 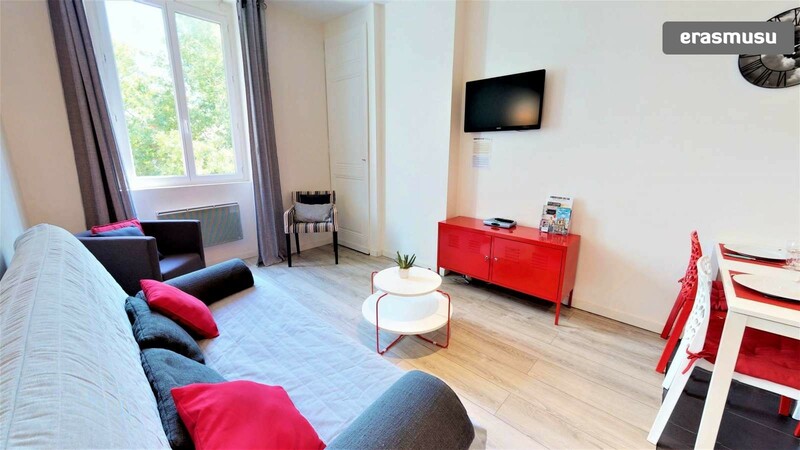 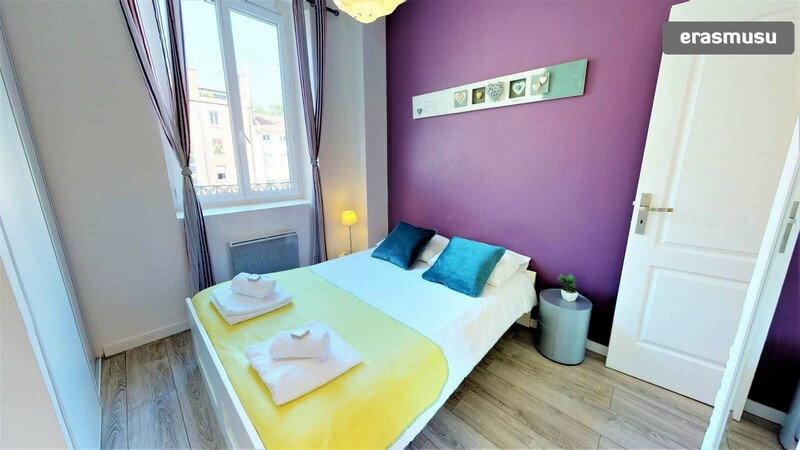 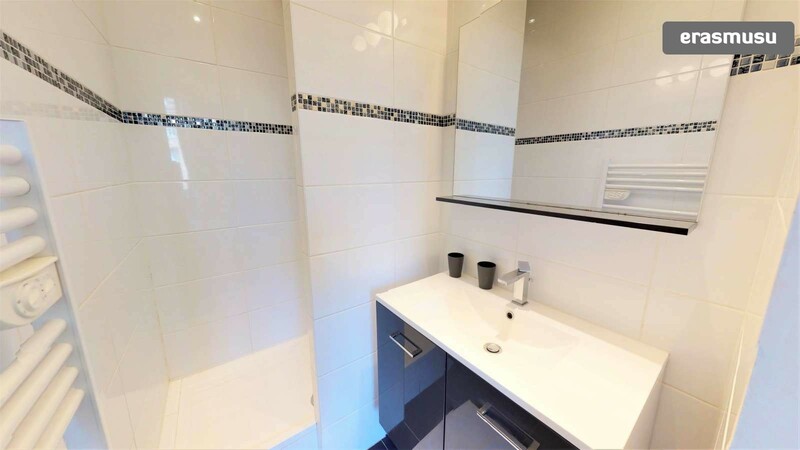 This apartment is just a short walk from the Gare Part-Dieu - Vivier Merle Metro station, as well as restaurants and other amenities. 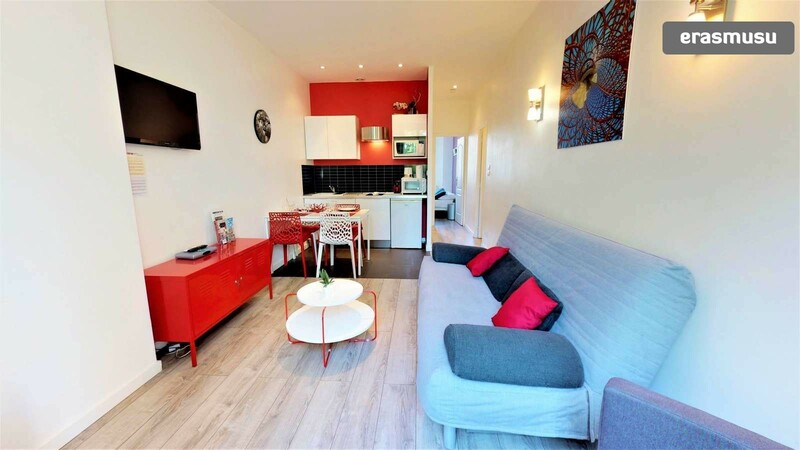 The Gare Part-Dieu - Vivier Merle Metro station is a 7-minute walk away and runs the B subway service and the T1 tram line.